A few weekends ago we decided, having secret mariner souls, to go to Independence Seaport and Museum at Penns Landing. The museum was hosting a special exhibit about the history of tattooing and maritime professions. It was interesting to learn about the many traditions sailors had involving tattoos. In addition to this exhibit the museum had a large collection of other displays tracing the history of nautical tradition from the days of sail to the modern freighters and war ships. The admission also included access to a submarine called Becuna and the battleship Olympia, both of which have been restored and are packed with interesting facts throughout. In all well worth the admission fee, so if you love maritime history and want to walk around a classic war ship this is the place to go. Well, as I mentioned in the intro post for the Wandering Fireball category, my wife Carol went to Ireland a few weeks ago. She will hopefully be putting up a series of posts on that trip soon. But to tide us over while shes sorting through photos I thought I would write a post about the journey I took while she was away. Since Carol was away I decided that over the weekend while I was alone I would take place in the New Jersey Lighthouse Challenge. The goal of the challenge is to visit 13 participating lighthouses. For each lighthouse you visit they give you a souvenir button. If you finish the Challenge you get a plastic completion tag. 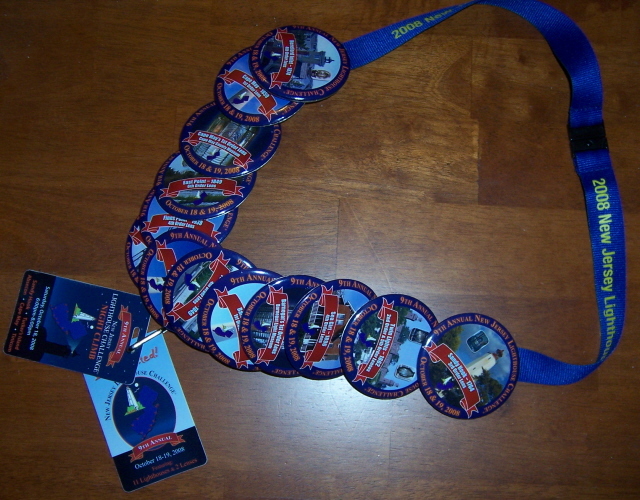 Also if you do a night climb at one of the places you also get a night climb tag. The lighthouses in the Challenge are located on both the Atlantic coast and the Delaware River. They range in height and power from small metal columns with little lights at the top to large concrete structures that loom over the skylines and have giant lights. So after researching the locations of the houses I decided to try to make the eight hour trip in one day. I began my journey at 6:00 am getting up before the sun to get breakfast at Dunkin’ Donuts and head to the first lighthouse in Tinicum, New Jersey. When I got to Tinicum I signed up for the Challenge and got my first button. I also bought a lanyard to hold my buttons and a lighthouse passport. 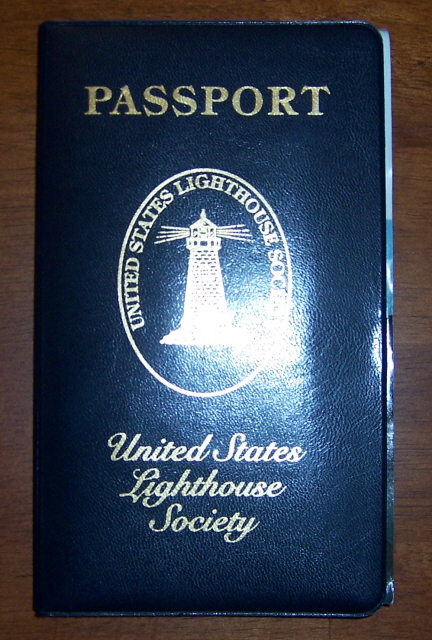 The passport can get stamps at many lighthouses across the United States, including all the lighthouses on the challenge sights. If you fill the passport you can send it in to get a patch. The rest of the trip went rather smoothly; I only hit traffic around Atlantic City and the construction around Sandy Hook. The one interesting trip was that the Twin Lights lighthouse which is a large stone structure on the top of a hill around the Sandy Hook area. The structure is built on this small area so there is no parking around it. You have to park instead at a nearby school and walk through the woods to get there. All in all it was an enjoyable trip. For anyone interested there is a similar event in Long Island and Maryland. A few weekends back me and Carol went to see the Real Pirates at The Franklin (formerly the Franklin Institute). Unfortunately, the special exhibits hosted by The Franklin don’t permit photography and this was no exception, so we where unable to take any pictures to post here. The exhibit itself features the recovered remains of Black Sam Bellamy’s ship, the Whydah. The relics of this ship are displayed in glass cases that are interspersed throughout some large sets filled with wax figures representing a pirate tavern and the ship herself. The size and scale of these sets was rather amazing and between the cases was plenty of facts about life on a pirate ship. The most amazing thing, however, was the honest-to-god pirate treasure chest recovered and overflowing with recovered dubloons and pieces of eight. There were also several parts of the display designed for children, from a place where they could raise the Jolly Roger, to a knot-tying station, to a ship identification station and a table where you could touch dubloons that where handled by pirates. In all this is a great exhibit for both adult and child fans of pirates. It will be at The Franklin until 11/02/08 so if you get a chance you should go check it out if you’re a pirate fan. Chris and I can’t resist the “up close and personal” feel of the Collingswood Shakespeare Company and the pseudo-in-the-round presentation at the American Legion. They always make the most of the small space to bring the audience right into the show, so you’ll have characters practically dying at your feet. The feeling that you’re a part of the show, and not just the audience, really makes the emotional ending all the more personal. Jacqueline Holloway as the Fool was an unsurprising standout and I did appreciate that she had the very last moment. We can’t wait to see what they have planned for the upcoming year. This past week, Chris and I celebrated Banned Books Week with a reading at the Philadelphia Free Library. Local notables read passages from their favorite banned books, such as Raisin in the Sun and To Kill a Mockingbird. The host, Gene Shay of WXPN’s folk show also presented “banned and taboo” music samples. The standout favorite was a reading of “noted evildoer” Shel Silverstein. Next up at the library – the OED 80th Anniversary, Nov. 18th. Well its time again to unveil a new category -the Wandering Fireball category. I realize that the last new category, Faire and Con Reports, has been a bit thin. Unfortunately we chose to skip some of our usual faires so we could save some cash. But I promise there will be more coming for that category and that this category will see more action that that one did. So what is this new category about and why do you keep talking about the Faire and Con Reports category? Well the answer to both of these question is that, like the Faire and Con Reports category, the Wandering Fireball category will be a travelogue. Unlike the Faire and Con Reports category, however, this new category will be a general travelogue for all the trips that dont fit in this first category. I decided to create this category because my wife and I seem to take a lot of road trips on the weekends. Sometimes these trips are of a strange nature; my wife and I are huge fans of New Jersey and all its weird landmarks. Other times theyre to see museum exhibitions and in October my wife and her family will be visiting Ireland. Combine these facts with my wifes love of taking pictures and I hope this new travelogue will be fun and interesting. As with the Faire and Con Reports category I will be also making an associated Wandering Fireball category in the links section that will contain the links to the places we go if any. So until next time make a Dex check to avoid the fireball. Going to see my profession’s origin. My wife and I live within spitting distance of Philadelphia. 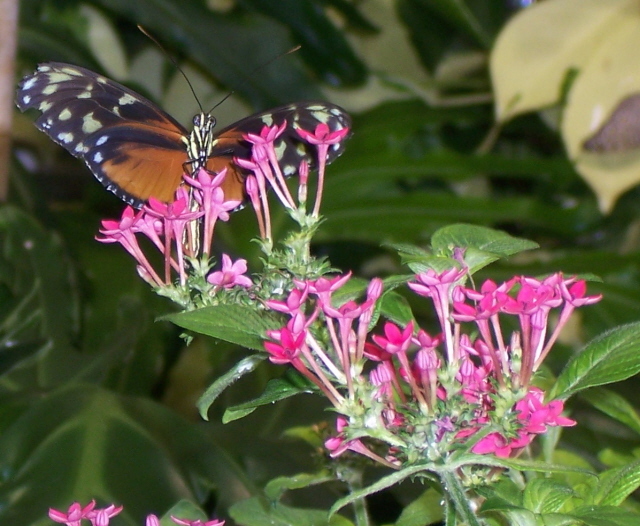 And as any of you who have read my About Us section probably know I am a molecular biologist by trade. More specifically, I am a geneticist that specializes in reproduction and evolution. 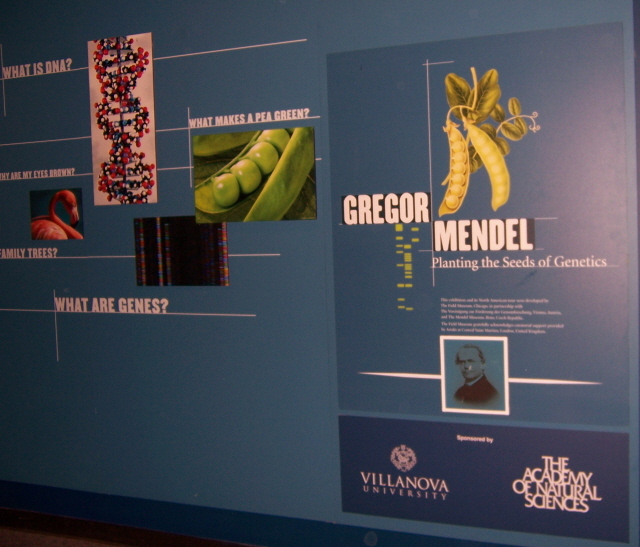 So its not particularly hard to guess that I was excited when I heard the Philadelphia Academy of Natural Sciences would be hosting a display of the artifacts of Gregor Mendel, the father of genetics. So last weekend my wife and I took the train in to Philly and went to see this exhibition. Unfortunately, they did not allow use of cameras in the show so all the pictures below are from the rest of the museum. But other than not being able to take pictures I thought the exhibition was a lot of fun and very interesting. 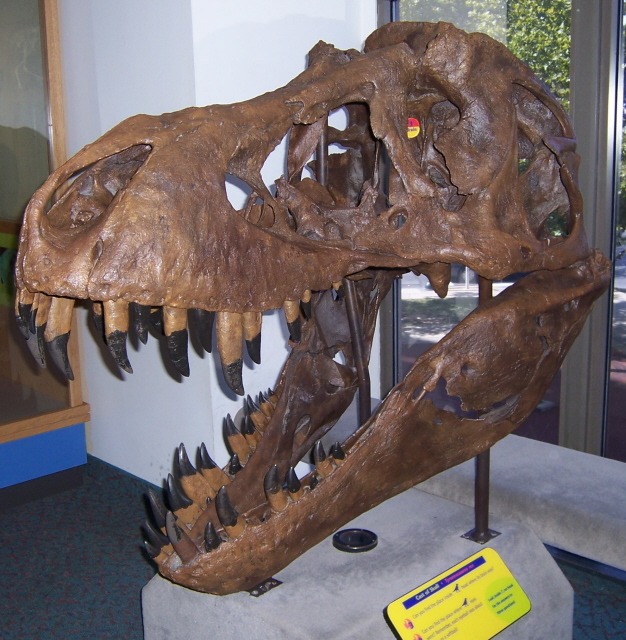 A large array of personal artifacts are on display from his personal gardening tools to his copy of On the Origin of Species. 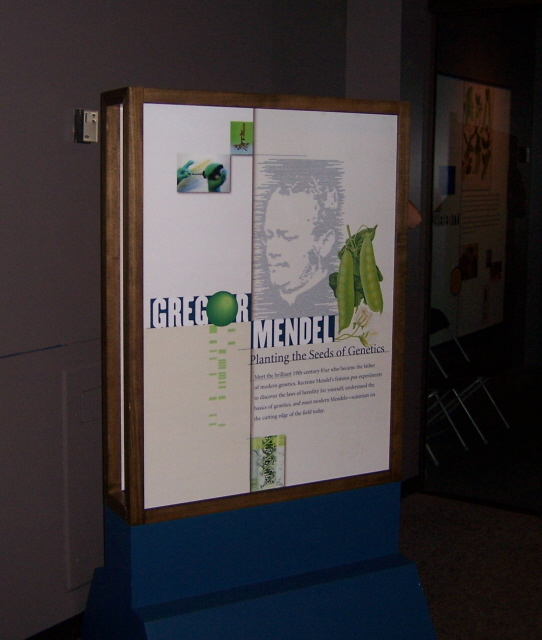 For the children, or the immature like yours truly, there is a number of interactive stations where you learn about Mendels experiments and genetics in general. The exhibition is also interspersed with a collection of art inspired by genetics and genes. All and all it was an enjoyable trip that I would recommend to anyone who has an interest in the history of genetics or who has a child that loves science.